See scan - perfect condition. Comes with original case of issue! 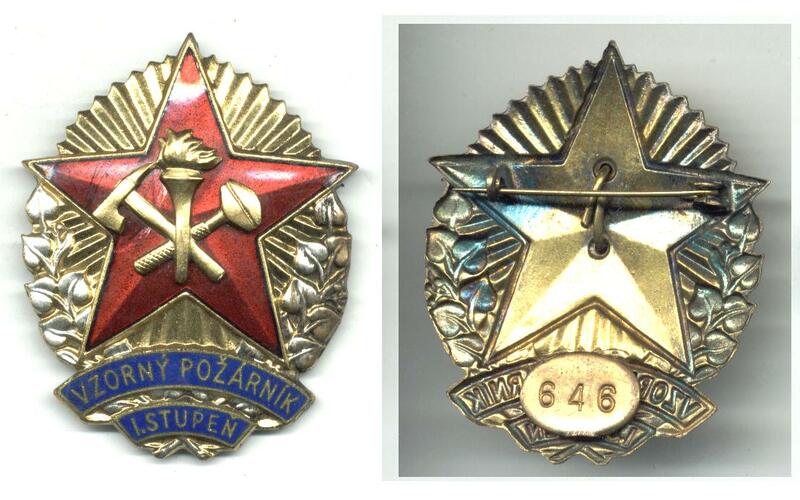 This is a nice and rare early socialist / communist era Czechoslovakia / Czechoslovakian Firefighter and Fire Squad Perfect Fireman / Firefighter VZORNY POZARNIK order / badge with a very low number at back - 646. This is the 1st Class I.STUPEN of this rare decoration. Probably one of the first post WWII war issues and it also could be a Slovakia piece. Scarce militaria / military collector piece and one of the rare Czech orders / badges.